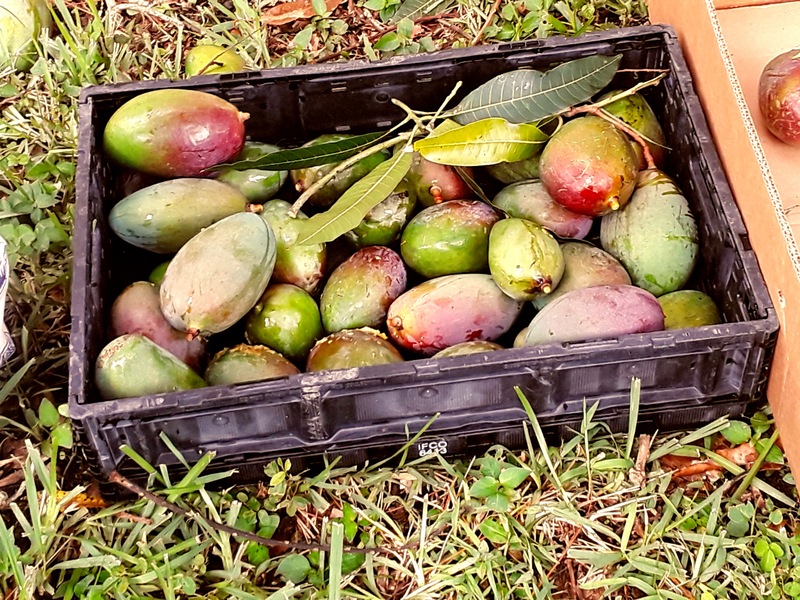 the most popular fruit in the world grows right here in our backyard. It’s time to celebrate Mangos. We eat them over the sink sliced up in cereal, chop them up for salsa, chutney. Mango Grove once an actual orchard and extended over most of the Lake Worth area. What to do with such abundance. 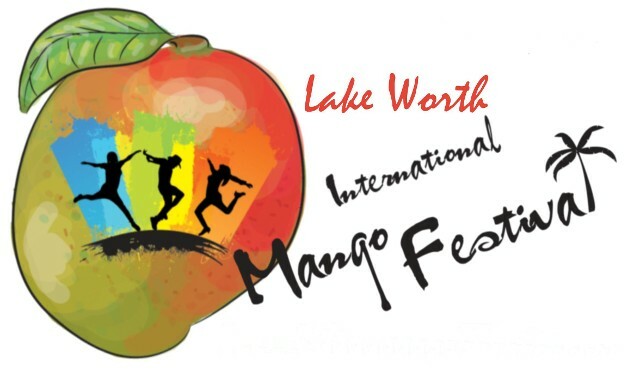 Well, 3 years ago a small committee still committed to waste not, want not, started this International Mango Festival on our Cultural Plaza downtown Lake Worth. 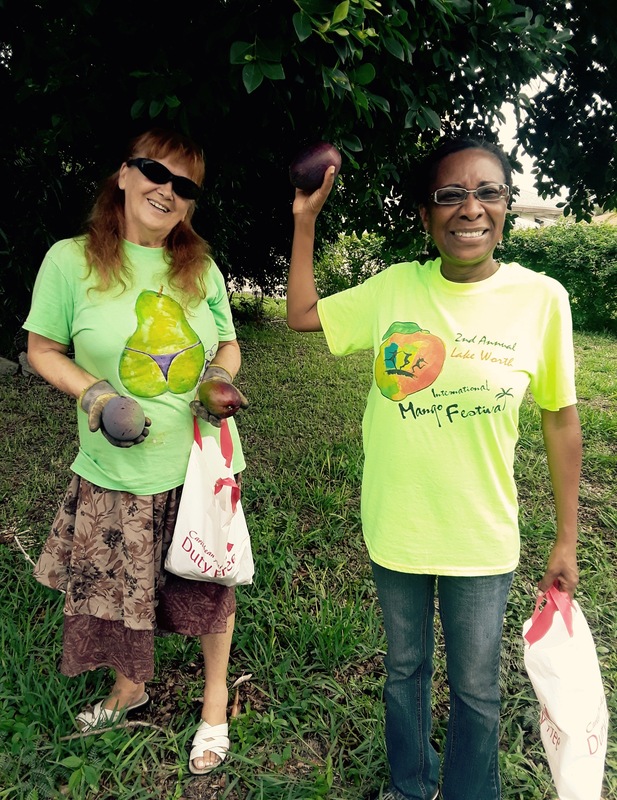 Mission is: We want to stop as many mangos as possible from falling on Lake Worth sidewalks, streets, and yards. It helps the city stay clean, and keeps the raccoons and other wild animals at bay. They ask all residents who have an abundance not to let them go to waste but to share. What better way to introduce our visitors and neighbors without trees to this delicacy. If you have a tree and want to share bring them to the AWE flower shop before Saturday or call and we will have volunteers come pick them for you. 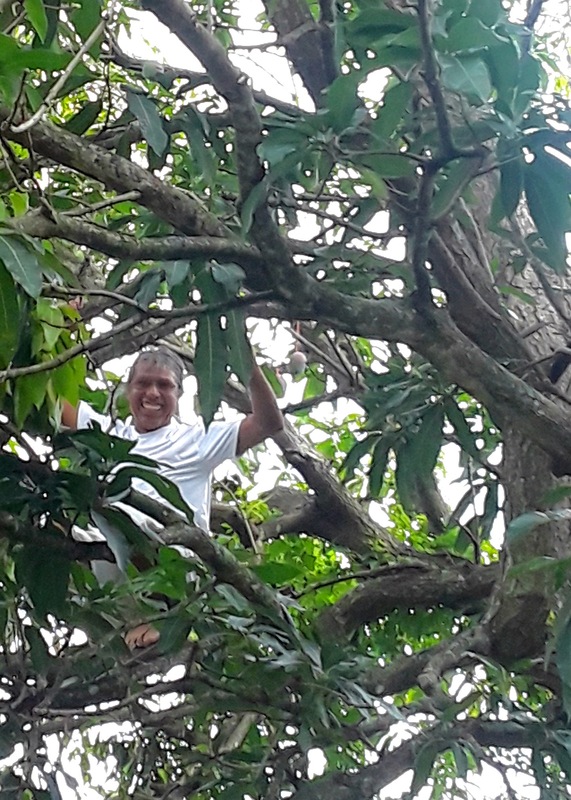 Sunday morning 8 a.m., AnnaMaria, Patti Pedro and Roland, started picking and finished at Barbara Tortorici’s home at noon, Babara is allergic to Mango9s and has graciously allowed us to pick her tree each year. When ripe they just fall down from the weight of the critters getting their share. Our prices are very reasonable FREE come to this event and get yourself a mango. Never just pick them without permission, you’d be trespassing.